[T]he argument that the Confederate flag and other displays represent “heritage, not hate” ignores the near-universal heritage of African Americans whose ancestors were enslaved by the millions in the South. It trivializes their pain, their history and their concerns about racism — whether it’s the racism of the past or that of today. And it conceals the true history of the Confederate States of America and the seven decades of Jim Crow segregation and oppression that followed the Reconstruction era. There were two major periods in which the dedication of Confederate monuments and other symbols spiked — the first two decades of the 20th century and during the civil rights movement. Southerners began honoring the Confederacy with statues and other symbols almost immediately after the Civil War. The first Confederate Memorial Day, for example, was dreamed up by the wife of a Confederate soldier in 1866. That same year, Jefferson Davis laid the cornerstone of the Confederate Memorial Monument in a prominent spot on the state Capitol grounds in Montgomery, Alabama. There has been a steady stream of dedications in the 150 years since that time. But two distinct periods saw a significant rise in the dedication of monuments and other symbols. The first began around 1900, amid the period in which states were enacting Jim Crow laws to disenfranchise the newly freed African Americans and re-segregate society. This spike lasted well into the 1920s, a period that saw a dramatic resurgence of the Ku Klux Klan, which had been born in the immediate aftermath of the Civil War. The second spike began in the early 1950s and lasted through the 1960s, as the civil rights movement led to a backlash among segregationists. So, yes, these statues represent history: the history of Southern oppression of African-Americans throughout the Jim Crow era. Southern whites erected them as symbols of white supremacy and violence. And they need to go away now. I've watched Scott Adams defend President Trump for years now, and I'm always fascinated by his ability to accuse people who disagree with him of any number of mental deficiencies. I am surprised that it took until today for him to pipe up about Trump's latest self-inflicted wound, but not by how he approached it. The reason you can’t easily identify what-the-hell is going on in the country right now is that a powerful mass hysteria is in play. If you see the signs after I point them out, you’re probably not in the hysteria bubble. If you read this and do NOT see the signs, it probably means you’re trapped inside the mass hysteria bubble. Right. So, if you agree with Adams, you're not hallucinating. If you disagree with him, or if you agree with the proposition he leads with ("the United States intentionally elected a racist President"), you're hallucinating. Second, the fact that a candidate is racist doesn't typically come up in elections because most of them in the past 50 years tried to keep that to themselves, and before that it would never have occurred to anyone to care. Casual racism has been a feature of American life since two hundred years before the country was founded. Hallucination? Not so much. Third, people have known about Trump's racism since he was a young adult throwing black people out of his apartment buildings. So this isn't exactly news. But all of that together lands on a pretty simple theory: people who voted for Trump didn't care that he was a racist, or knew and approved of it. I would bet the proportions of those two groups were 80/20. People who cared and disapproved of it most likely voted for Hillary Clinton. Compare that to the idea that our president is a Russian puppet. Or that the country accidentally elected a racist who thinks the KKK and Nazis and “fine people.” Crazy stuff. Let's parse that. In the three historical examples Adams lists in the first paragraph, people contemporaneously identified the insanity of what was going on, but there were not-so-crazy incentives for people to keep the "mass hysteria" going. Salem had land disputes at its core; McMartin was as much about attention-seeking as it was about child abuse; the tulip bubble was a pyramid scheme that we would call criminal today. So even before we get to Adams' straw men, we have to deal with his oversimplification of some pretty disturbing historical events. And then he posits as the issue before us that people believe Trump is a Russian puppet. But actually, that's not the fear of people who know Russian methods and tactics. That Trump got elected was a bonus to Russia's rulers, not their goal. They want to discredit Western democratic systems to bolster their own internal political controls, not because they care about the West per se. Supporting Trump and interfering in our election was about that, not about Trump's allegiances, which they know as well as we do are entirely to himself. Moreover, even if Trump didn't intend to do so, his words have emboldened the far-right groups that threaten not just our institutions and values but our property and lives, too. So whether Trump actually said Nazis are fine people, that's what the Nazis themselves heard, and why any other President would have slammed the door on the crazies. Adams seems to concur in part: "If you already believed President Trump is a racist, his weak statement about Charlottesville seems like confirmation. But if you believe he never offered moral leadership, only equal treatment under the law, that’s what you saw instead. And you made up your own mind about the morality," he writes. Maybe people made up their minds about the morality because of the weak statement itself, not because they imagined Trump was supporting the racists? Adams concludes: "If you are outside the mass hysteria bubble, you might see what I am doing in this blog as a valuable public service. If you are inside the mass hysteria bubble, I look like a Nazi collaborator." No, Scott, you are neither providing a valuable public service nor are you a Nazi collaborator. You are, however, an apologist for a deeply flawed president who is, intentionally or not, exacerbating the divisions in our country to increase his own power and personal wealth. Having risen to power by dividing the country, his party leadership and even, at times, his own campaign team, his aim now is to divide or discredit any institution, tradition or group in his way. Donald Trump seems perfectly willing to destroy the country to maintain his own power. He is racing to undermine the federal political system — if not all American public life — before still-independent forces (for now, the federal courts, the press and Congress) undermine him. The goal, as always with Trump, is to win amid the chaos he sows, to be the last man standing in rubble. And “winning” is rapidly being reduced to the raw, basic terms he prefers: brute survival. With a record-setting low approval rating, world crises everywhere and a special counsel on his tail, the main victory he can hope for is staying in office. Fineman goes on to enumerate the ways we can expect Trump to continue this strategy. It doesn't help that the Republican Party continues to abet his behavior, even if only by keeping quiet. It's time for them to disband. As commentators across the spectrum are pointing out, the Republican Party is no longer the party of Lincoln; it's the anti-Lincoln party. Yesterday, a man reportedly threw himself in front of a CTA train at the Fullerton El stop, shutting down the three busiest lines in the system during the morning rush hour. Commuters faced hours-long delays and an already at-capacity bus system struggled to adapt to the demand. "It is unfortunate that at least two ride share companies chose to take advantage of this morning’s difficult commuter situation," said Lilia Charcon, a spokeswoman for the Department of Business Affairs and Consumer Protection spokeswoman. But that's their business model. 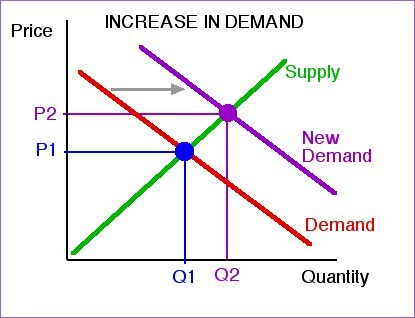 If demand goes up faster than supply, prices rise. The only way to stop that from happening is through regulation. Like the way we regulate taxis. But then there is no way to get a taxi when demand goes up like it did yesterday, because they're all in use. The simpler explanation that accounts for all the available facts is not always right. But as Occam noted, it is always to be preferred. What we need is a Copernican revolution in our understanding of Trumpism, or at least some of us need it. The breakthrough for Copernicus was in positing the unimaginable, indeed the terrifying possibility that the Earth is not the center of the universe but rather a peripheral, secondary celestial body. Once you accept that, a lot falls into place. With Trump, he has a revanchist racist politics because he is a revanchist racist. Once you accept that, a lot falls into place. All the heroic and increasingly nonsensical perambulations of misunderstandings, inexperience, missed opportunities, stubbornness and all the rest are not needed. It all falls into place. Stop pretending he's going to learn or grow. He won't. This is the president. Supporting him means supporting these views, which should not be aired—or held—by any serious politician anywhere. And it's shocking that people like Steve Mnuchin and Gary Cohn can stand next to him. This past Sunday's New York Times magazine summed up the decline and imminent death of Sears. It's worth a read, though long-time readers of this blog know it's an old story. I've gotten a lot of sleep the last few days and also a lot of exercise. I can tell that the upper-respiratory infection burbling away in my head right now is taking a beating, and will soon be as dead as any strand of viral DNA can be. A recent study from the University of Stirling and the University of Ulster...examined hundreds of aeroplane crew members and discovered a direct link between air contamination and respiratory, cognitive and even neurological health problems. Out of 274 pilots questioned, 63% reported health problems consistent with breathing tainted air. When the team examined 15 separate incidents of acute aeroplane air contamination, most of which involed oil leakage, nearly 75% of the time multiple crew members on the flight reported adverse health effects. Airline staff are not the only ones at risk. “This is equally applicable to passengers because they breathe the same air,” says Susan Michaelis, one of the researchers and former airline pilot. The problem has long been discussed within the airline industry, with several small-scale studies having been undertaken. But the new report is a fresh and more comprehensive take on the issue. The authors argue that manufacturers must change the way planes get their air. Boeing 787s, for example, have a separate system that does not draw in air through the engine. OK, it really doesn't talk about pathogens spreading on airplanes, and since both my flights this past weekend were on 787-8s, the post doesn't even apply to me. It's still an interesting post. Via Deeply Trivial, The Guardian's Holly Brockwell points out that the first programmers were women. The Times summed up reader reactions. From New Republic, Ryu Spaeth says President Trump is killing us, and Brian Beutler says the neo-Nazis are Trump's troops. Josh Marshall points out that Trump is one of them. From Citylab, Kriston Capps says the ultra-right are waging a war against public space, David Dudley talks about the Dodge Challenger as a killing machine, and Yoni Applebaum advocates taking all the Confederate statutes down. Krugman flat-out calls Trump un-American, which, it turns out, is like calling Parker a dog. Meanwhile, prominent Republicans are trying to distance themselves from Trump's tepid response, with Attorney General Jeff Sessions saying the attack met the legal definition of terrorism. Fox News is bending over backwards to cover the story as non-politcally as possible. In some cases, they're succeeding. Though I have to say, it looks like a challenge for them. Can we have a discussion about domestic right-wing domestic terrorism now? Before we have another Oklahoma City? It's not really that perilous to travel from the US to the UK, unless you're in a step challenge. This past week, I was traveling for almost 40 hours—including 14 yesterday thanks to ordinary aviation delays. When you're on a plane, it's pretty hard to get steps. Fortunately the time change from the UK back to the US is in my favor, so I got 6 extra hours in which to walk, and I also got Parker back. Still, I barely squeaked in with 10,689 for the day and an unusually low 81,638 for the week (helped immensely by Wednesday's 18,319). So naturally, I walked to work today. I'm already at 9,770 and heading towards 20k (assuming I walk home, too). I'm back from the UK, and I hope my laundry will be done soon because my body thinks it's 1:30 in the morning. Donald Trump had an opportunity yesterday to show that he was more than the ignorant, impulsive, reckless opportunist he appeared to be during the election. To show, that is, that the burdens and responsibilities of unmatched international power had in fact sobered him, and made him aware of his obligations to the nation as a whole. And those who stand with him, now, cannot claim the slightest illusion about what they are embracing.